Sometime in 1987 I received a long distance call from my first cousin/godmother Inesita O’Reilly Kuker in Buenos Aires. She told me that a young nephew of hers (he was around 14 or 15) was coming to Vancouver with a youth rugby team. "They are staying at the St. Regis (she pronounced it St. Rehis). Do you know the hotel? It sounds French.” I did not have the heart to tell her that the hotel was of a questionable reputation and that it featured B-class strippers in its lounge. In those years we (writers, poets, photographer, illustrators, ecdysiasts,etc) had Thursday noon soirées at the kitty corner to the St. Regis, Railway Club. From our corner table we could see the St. Regis. When they young man came to our house for lunch he told us that as soon as they had arrived when they were going with their luggage to their rooms they watched some cops forcibly remove a patron from a room. They rapidly caught on days later that if they casually walked past an open door to the lounge they could spy a naked woman on stage. Not too long somehow a few of us decided to have a few beers at the St. Regis lounge as we left the Railway. I was amazed by a blonde dancer with very long hair who looked like a Wagner Valkyrie. I immediately went up to her and told her that I had a paying job for Vancouver Magazine. 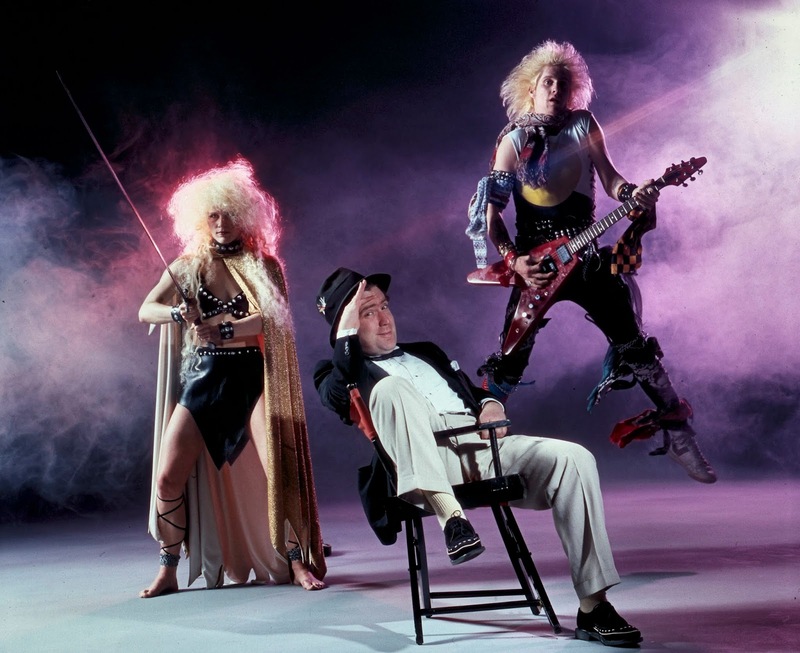 It was a shoot featuring Doug and the Slugs singer Doug Bennett. It was going to be a massively difficult shoot in which I would hire a couple of smoke machines and that it would feature D.O.A. bassist Randy Rampage. I have no idea why I had the Valkyrie and Randy Rampage but perhaps it was all to do with the fact that heavy metal was popular at the time and Doug Bennett’s band Dough and the Slugs featured music that was unlike it and much more pop. This blog has occurred to me because in our mail we received the 2019 Vancouver – Where to Eat booklet. 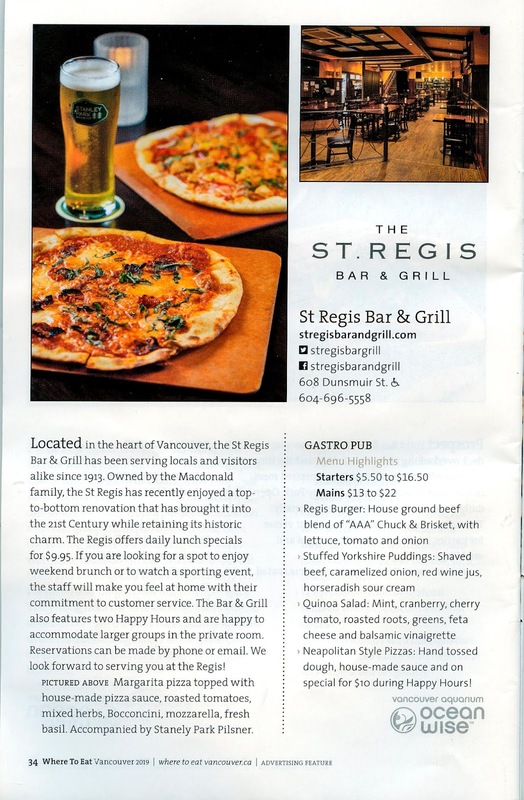 One of the pages features the St Regis Bar & Grill menu. Rosemary and I are looking forward to going in the next few days to try that fabulous looking pizza Margarita. Astoundingly the St. Regis is now a downtown hotel of the boutique kind that would have delighted my first cousin/godmother. It is unlikely that any rugb team will staying there in the next while.